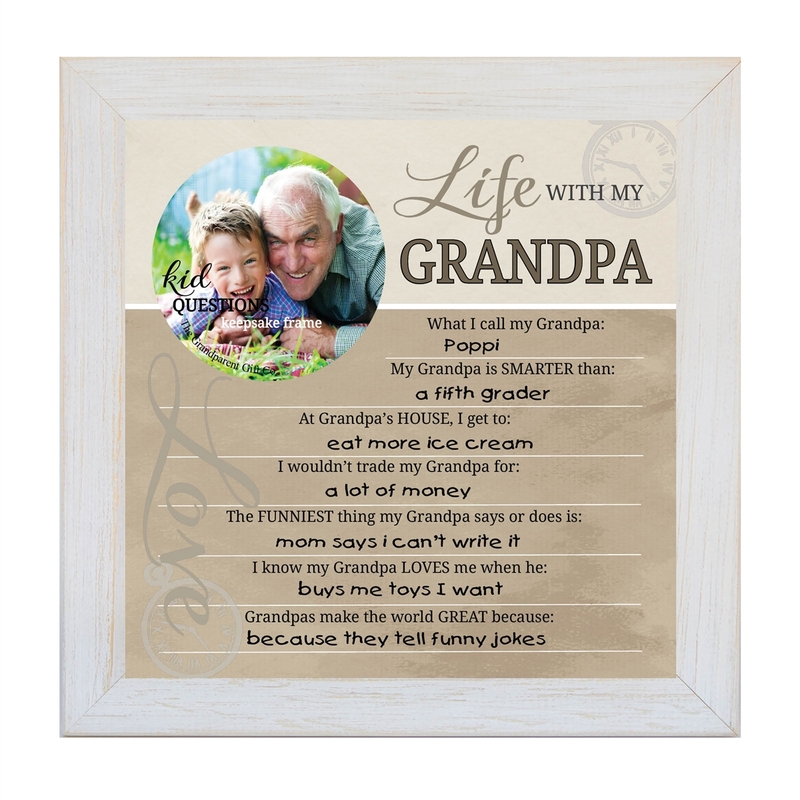 A wonderful gift for grandpa from a young grandchild, ready to go, except you add the finishing touches! We've created the questions and the child enters their answers, with or without a helper! Add a photograph to the 3" round opening and you have the makings of an unforgettable gift. 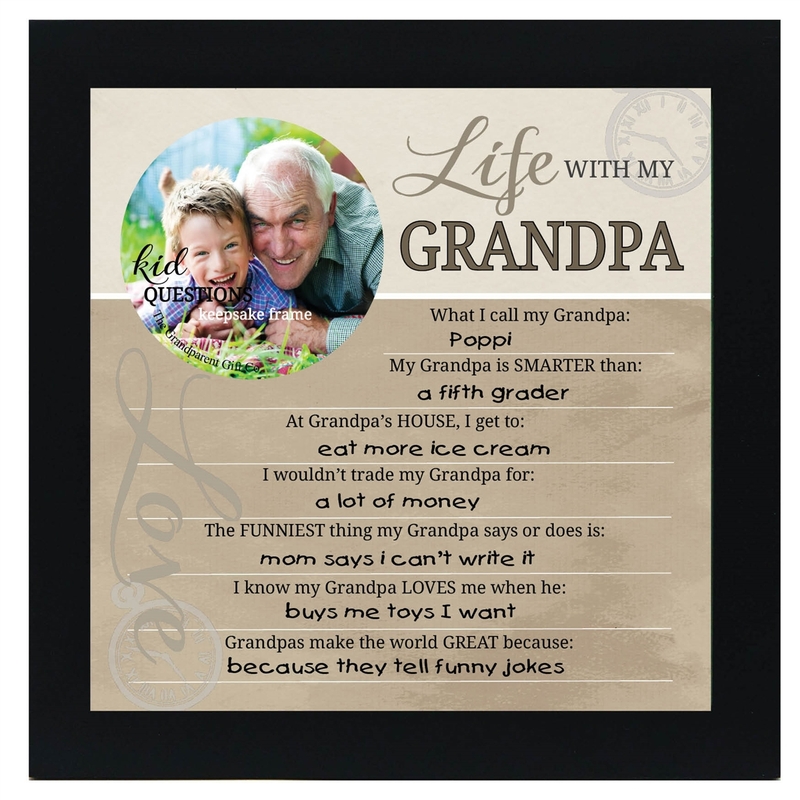 Read the answers now or years in the future, regardless, they will make you laugh and pull at Grandpa's heartstrings. A perfect grandpa gift for home of office display. Select from our US made frames in barnwood, black or distressed white. Frames outer measure 10x10 and have a easelback for table display and sawtooth for wall display. 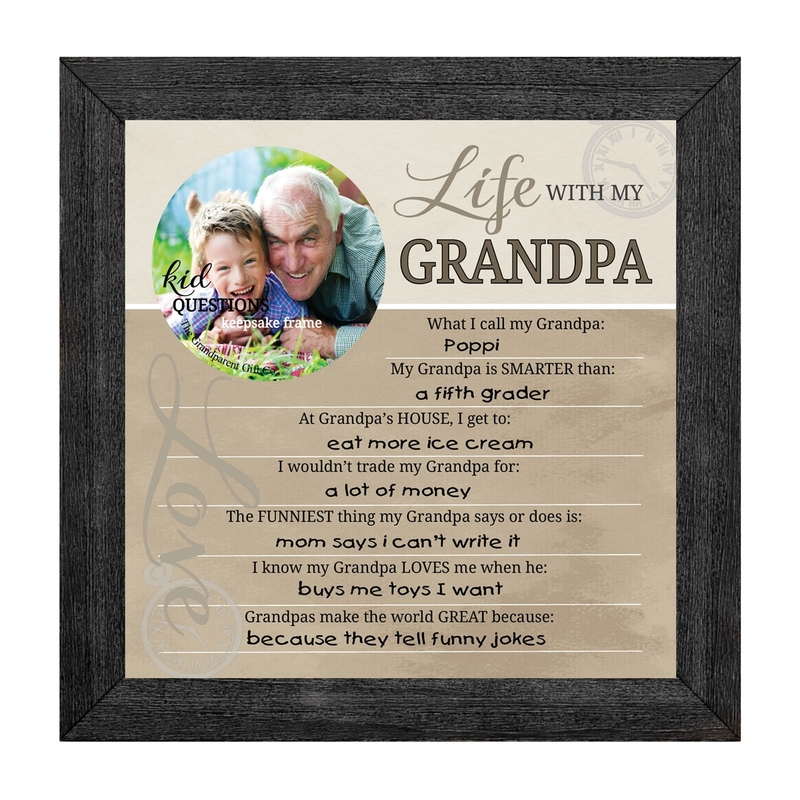 A sentimental gift for grandpa from child for holiday, Father's Day and all those other occasions you want dad to know how much he is loved. Suitable for kids 3-12.